Lightweight Printy Self-Inking Text Dater prints date in red and text in blue. Offers choice of 12 years on the year band below the word "Received" with both date and word enclosed in a rectangle. 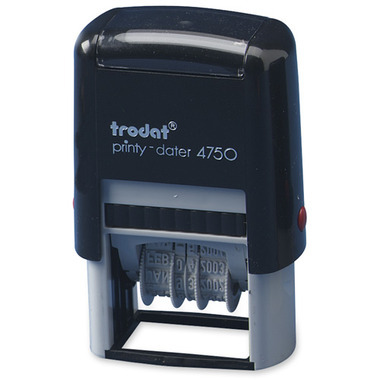 Self-inking text dater is made with a minimum of 70 percent recycled plastic.